Update: February 20th: I was fortunate to attend a meet-and-greet with Ebbe Altberg in-world, and have published an article presenting his views on the Lab, You can read and listen to his comments by following this link. 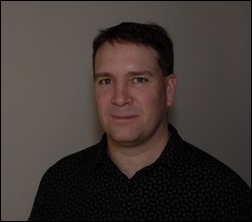 So Ebbe Altberg is the new CEO at Linden Lab, and will formally take up his new position on Monday February 10th. But who is Ebbe Altberg? You can read his official LL biography here, and I’m using that as a leaping-off point for a slightly deeper look at his career. Mr. Altberg, Swedish by birth, graduated from Tärnaby Skidhem in 1983. This is categorised as a “general college / university” in Foursquare, but appears to (also?) be a ski school. Tärnaby itself is a locality (“urban area”) situated in Storuman Municipality, Västerbotten County, northern Sweden. It is noted for being the home of several of the country’s top international skiers and is regarded as one of the country’s best ski resorts. Following this, he attended Middlebury College, Vermont, USA, where he graduated with a BA (subject not clear). Founded in 1800, Middlebury is one of the oldest liberal arts colleges in the United States, and offers 44 majors in the arts, humanities, literature, foreign languages, social sciences, and natural sciences. After eleven and a half years as Product Unit Manager at Microsoft, where he was involved in products such as Word, Office, Mac Office, and multimedia products, he moved on to Internet and Telecommunications company Ingenio in March 2000. Here he was responsible for managing the engineering, program management, operations, and quality teams. Interestingly, and as noted in the LL bio, he also served as the company’s interim CEO. Joining Yahoo! in February 2008, he spent two years and nine months working as Vice President, Head of Audience for the company’s EMEA division, based in Rolle, Switzerland. Here he was responsible for consumer strategy, products and content throughout EMEA, including Search, Mail, Homepage, Media products, including News, Sports, Finance, Music, Movies, Autos, Travel, Games, Answers, Flickr etc. He ultimately managed all teams responsible for product management, design, editorial, programming, content, production, content business development and product marketing – some 180 people in total across six countries. During this period, he also served on the board of Yahoo! SARL (Société à responsabilité limitée) – think the equivalent of a Pvt Ltd company in the UK or a limited liability partnership in the USA. In October 2010, Mr. Altberg became the Senior Vice President for Media Engineering at Yahoo! with global responsibly for Media Engineering for all of Yahoo! Homepages, News, Sports, Finance, Movies, Music, TV, Games, OMG, Lifestyles, Weather, Screen, Livestand and IntoNow products, including related partner portals, publishing platforms and the Yahoo! Contributor Network, across all devices (PC, Tablet and Mobile). This position involved managing an organisation of more than 600 engineers, architects, program managers and quality engineering staff, as well as having dotted-line oversight of some 150 product managers and designers. Thirteen months later, in October 2012, he moved to join BranchOut, based in San Francisco, as Chief Operations Officer. At the time of his joining, the company had already experienced something of a rough time. Founded in 2010 by Rick Marini as an application designed for finding jobs, networking professionally, and recruiting employees, it proclaimed itself to be the “largest professional network on Facebook”. The app attracted some $49 million in three rounds of funding between 2010 and 2012, and in March 2012 it boasted some 25 million users and was active in at least 60 countries. However, by August of that year, user numbers had fallen to some 3 million, and the company had indicated it would be working to pivot BranchOut into a workplace chat app, As COO, Mr. Altberg played a key role in this effort, which saw the development of Talk.co, a private messaging application. Launched in October 2013, Talk.co promotes itself as “a better way to communicate with those you work with”. Specialties: Team development, strategy, provide vision, software and business inventions, product design, engineering, product/program management, quality engineering, operations. Manage teams that invent, create, define, spec, build, produce, test, ship, market and operate products. Away from work, Mr. Altberg appears to have an interest in space exploration, particularly efforts from within the private sector. 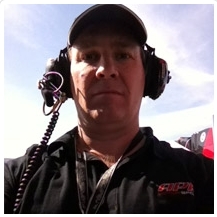 He’s also a follower of Formula 1 racing, and (obviously) a keen supporter of his son, Aleks, a former instructor at the Dirtfish Rally School and who is currently an instructor at the Lamborghini Driving Academy, as well as being a winning driver with APR Motorsport. From his résumé, it’s fairly clear why Ebbe Altberg has been seen as a good fit for Linden Lab by the board of directors. He has considerable breadth and depth of experience in both product development and product management, as well as in multi-discipline team management and developing and operating software across multiple platforms and product categories. A lot of Mr. Altberg’s background revolves around social media and the need to establish strong communities. Indeed, his lists his motivating factors as creating “fantastic and profitable experiences that positively impact millions of people.” This might actually bode well for Second Life, particularly if he has the freedom to ensure the company more broadly re-engages with the SL user base, and becomes more pro-active in key areas of communication (such as with changes to the ToS and better communications about legal and requirements which impact users, etc.). He has already received a number of Tweets from SL users (myself included) requesting he takes this into consideration while welcoming him to the company. Time will obviously tell as to how well Mr. Altberg fits-in at Linden Lab, as well as revealing the direction in which the board would like him to take the company. ; in this respect it is perhaps interesting to note how the press release announcing his appointment is directly focused on Second Life and Blocksworld (with a mention in passing of Desura). In the meantime, I’ll once again welcome him to Linden Lab. The hot seat awaits! Thanks for this – a good look into the man who will greatly influence our collective fates over the coming year(s). I’m particularly happy to see that he comes from a liberal arts background, on which he has layered his technical experience and managing teams. I’m especially encouraged that his experiences include social media – which exists on the principle of active two-way communication – something we all can agree has been greatly lacking in recent years. Personally, I hope that active and interested SL residents (especially the vocal ones) give the man a chance to settle in, understand our world from the inside-out, before leaping to pre-judgments of what he will do based on his background alone. I remain optimistic. Thank you, Becky, for saying precisely what I wanted to say, but felt I should leave the article purely to covering his background, rather than colouring things with my own thoughts 🙂 . I’d also prefer to remain optimistic on things. He clearly has a very broad background, and isn’t afraid to tackle difficult tasks (re: BranchOut). All this could be very much to the good for LL and SL. From what we’ve seen, though, there’s been an awful lot of yapping at the news. The way I see it, even if Mr. Deity Himself came down from the Heavens to run LL (along with His assistant, Larry), no one would be satisfied. He was at Microsoft for 11 years, than what appears to have been eight years at Ingenio (2000-2008), then four-and-a-half years in total at Yahoo! (2008-2012) – where he looks to have been promoted from the EMEA (Europe, Middle East & Africa) position to one of global responsibilty covering more-or-less the same products, platforms and media, prior to taking a risk and jumping to BranchOut. The latter was perhaps an unusual step to take, but given the situation the company was in, as per the notes in this profile, it could well have been a challenge he relished: trying to steer an ailing company through the development of a new product. Outside of BranchOut, and given the time spent at his previous organisations, I’ve venture to suggest he had more than enough time at each to “develop a real personal stamp of his priorities, strategy for growth, etc.” In fact, he appears to have been significantly rewarded at Yahoo! for doing so. If one wants to see lots of jumps in one’s career, they need look no further than a certain Mr. Christian Hrabalek. Do you think you’ll be getting a chance to interview him? Similar to how Rod did rounds in his debut? There’s a rumour that he’ll do an in-world meet-and-greet. Beyond that, there may be an interview once he’s settled-in a little and can see more of the lie of the land. I’d rather give him breathing space than start pestering from day one (and requests are liable to be pushed down the way a little anyway). Thank you, this is really helpful and well done. Frankly, Mr Altberg doesn’t sound like a great visionary. But looking at all those Project Viewers, there is still so much in the pipeline at the Lab. Maybe we don’t need a revolution and a new vision for SL, just somebody who manages all that is currently on the way with the goal to eventually merge SL with High Fidelity in one or two years. There is no space for both, so they would need to work together anyway. I’d tend to doubt that there will be any “merge” between High Fidelity and and Second Life. The two are very different approaches and technologies. As such, I’d tend to view the Lab’s initial investment in High Fidelity as a case of them looking to possibly leverage whatever may come from it in terms of usable tools, technologies, etc., for whatever the Lab may be considering to come “after” Second Life. High who! I staet to hate the hype regarding something coming from Mr Philip Rosendale! I appreciate your insightful and complete reporting on this important event at Linden Lab – and how the new CEO may impact life in SL. We just don’t know yet, and I agree with your decision to let Mr. Altberg settle in a bit. Even though his is likely quite familiar with SL (and other LL products), he deserves a chance to get the lay of the land before we all start hounding him. While the reality of tomorrow is virtually yet unknown (pardon the bad pun), I have the distinct feeling that the future is bright. The high school in Sweden was a ski academy and I was a ski racer. Ingenio created marketplaces for people to buy and sell information over the phone. We enabled a lot of people to sell what they know and make money doing it. Take a call, provide a service, three days later we would direct deposit your earnings. We also invented Pay per Call (which is part of the reason why at&t interactive bought the company). I racked up quite a few patents there, but I don’t really mention that anywhere as I’m not a huge fan of the patent system. Also, after my interim ceo stint there I was the Chief Product Officer. I left Yahoo! because I did not believe in the CEO they had at that time. But I’m very proud of what was achieved while I was there (a lot of fixing org and technical plumbing). After Yahoo! I spent six months hanging out with my family and played a lot of golf with my younger son and watched a lot of Aleks’ car races. Aleks was very engaged in SL many years ago. 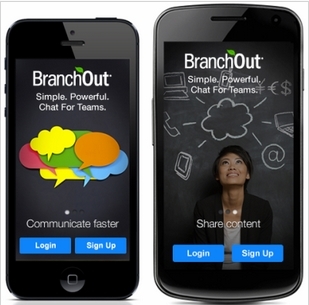 I really enjoyed my time at BranchOut and we made some big changes and made some really good progress. Talk.co is a cool messaging and group chat product. And they are working on something else as well that will be quite interesting. Great team. I did not leave for any other reason than not being able to say no to this incredible opportunity. Thanks for dropping by and adding the “missing details” :). Looking forward to discussing the upcoming F1 V6 season with you ;-). Did you catch any of the Jerez testing? No problem. I did not catch any pre-season stuff yet, just reading some info about it. Seems like performance is not hugely different. Curious what they sound like. Jerez seemed to be a little odd in places, with teams appearing hesitant to run their cars at times. Sound-wise, it does take a bit of getting used to, although at times it doesn’t seem too excessively different depending on the amount of sound deflection. As you are a Hamilton fan (:) ), here’s a compilation of the Merc driven by both Hamilton and Rosberg at Jerez. Bahrain next week should be very interesting! Being an motor sports fan, maybe you can be sympathetic to those of us who love cars in RL, and would like to take our love into SL, and put someone on the problem of “driving” in SL. The continents have all these beautiful roads, but trying to drive them is an excursion into futility (i.e. sim crossing hiccups, unmarked speed limits taking your Linden dollars, ban lines intruding on the roads, no place to rez a car to try to drive it, but mostly the sim crossing hiccups). Most cars in SL I think just sit on owner’s parcels to look cool. It seems a good career move for Ebbe. He appears to have nothing to lose. That’s exactly the sort of person LL had no choice but to find, and likely could find. That’s no disparagement on Ebbe’s qualifications or abilities. He just seems to be in a good place career-wise to take on SL. I wish him (and SL) the best of luck. Both will need it. As per his chat with a number of us, he was actively sought-out for the post by board member Jed Smith (who also introduced him by way of the Lab’s press release announcing his appointment). As such, the fit does seem to be a good one on several levels. It’s good to see Ebbe is reaching out to bloggers. I’m looking forward to seeing how he reaches out to the less visible residents who are paying hundreds of dollars a month in private sim tier and membership fees that support the salaries of LL employees. BTW, we haven’t been introduced. I’m A.J. I must have missed your email. I greatly appreciate that you react here on the article, because I had the impression LindenLab ignores its users over the last years: No infos, no reactions, only technics and law. 1st of all: remove again the robber-paragraphs from the TOS steeling the builds from creators. I gave up my premium because of it and many creators left. 2nd: Integrate SL with the web world. Let the users show their 2nd Life in social networks. 3rd: Bring SL to Android and iUrgs. Its the daily life of this generation. Always remember what the capital of SL is: Its the users who love and build this world! Show it! I hope for many years of collaboration and a flourishing SL with you!